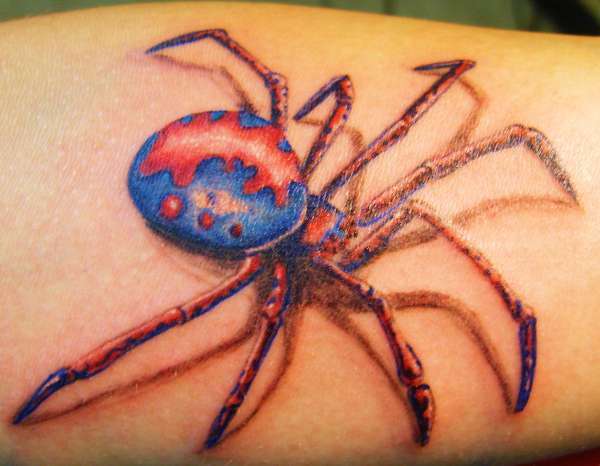 This was done @ Infinite Ink in Chicago by Surielito, on a costumer who wanted a realistic spider with the Spiderman outfit color scheme. Cool. If that thing bites him though...he'll turn into Tobey Maguire. Nice and clean , great colours and shading.